I fell in love with this rich color palette the minute I saw it~ Danielle and Matt were so easy-going and relaxed about all the details ~ they wanted to have a fabulous event where everyone enjoyed every minute while being exposed to Columbia landmarks. 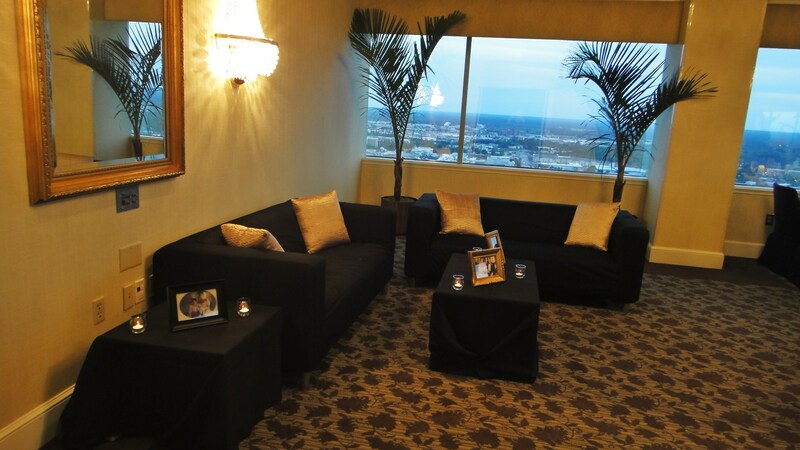 The couple picked 2 lovely venues for their wedding day~ Rutledge Chapel and Capital City Club. 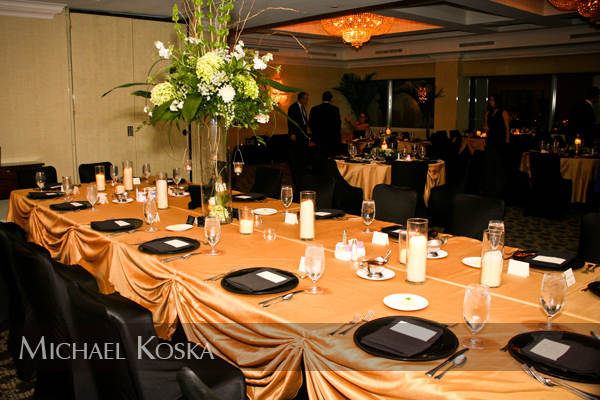 Both spaces were beautifully designed with the gold and black colors so that they complemented the space! 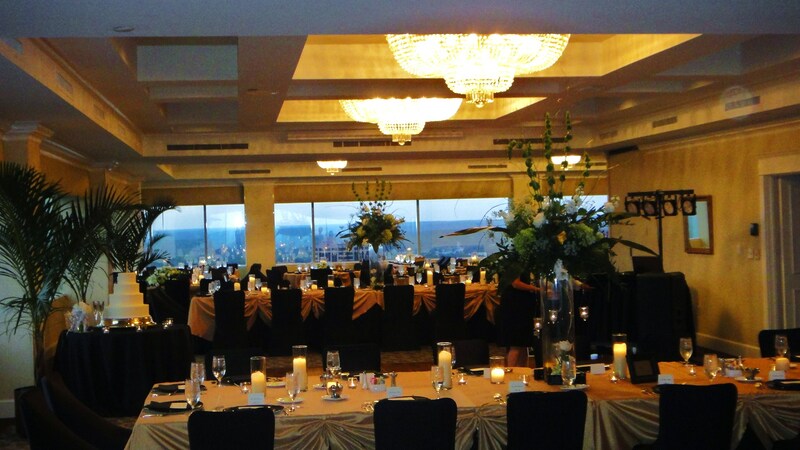 Scott at American Floral brought in floral design that perfectly balanced the rich metallics and textures ~ I love using the variety of tall and low centerpieces at Capital City Club…it did not interfere with the breath -taking views. 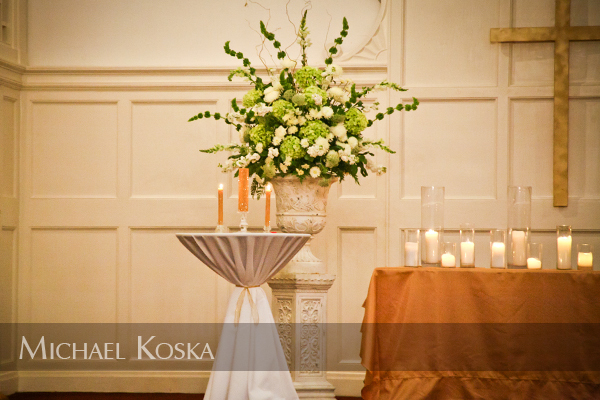 Thank you Michael Koska for sharing some images ~ so lovely!!! Beautiful shot of the chapel all set and ready for their ceremony. 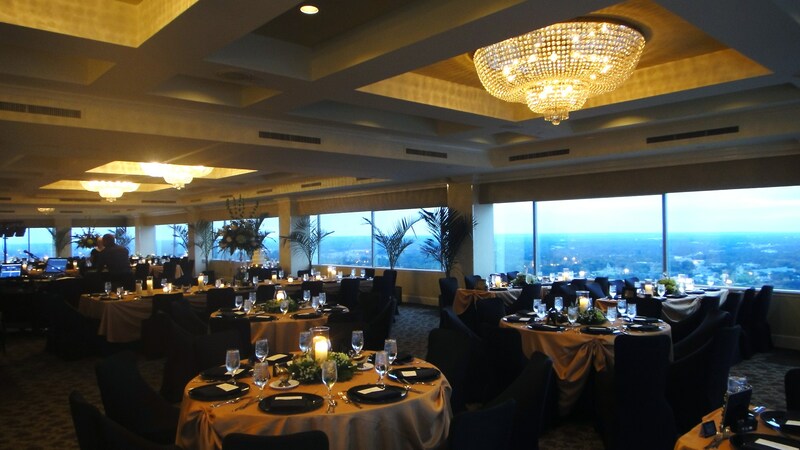 Great evening shot of our family table. 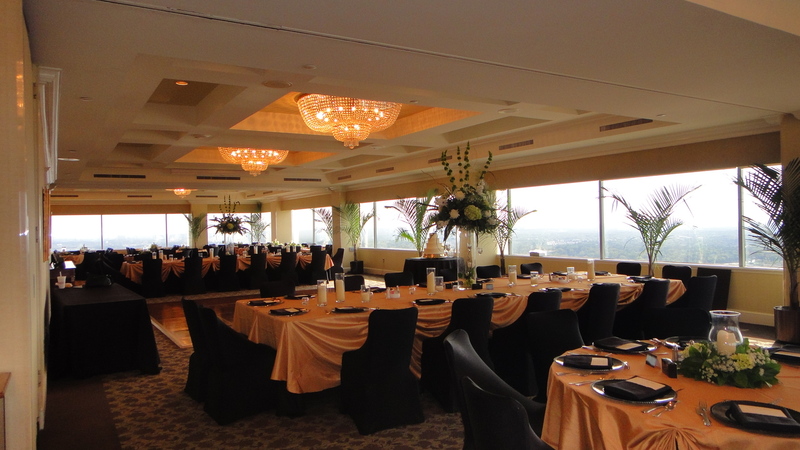 Another angle of the room all set. 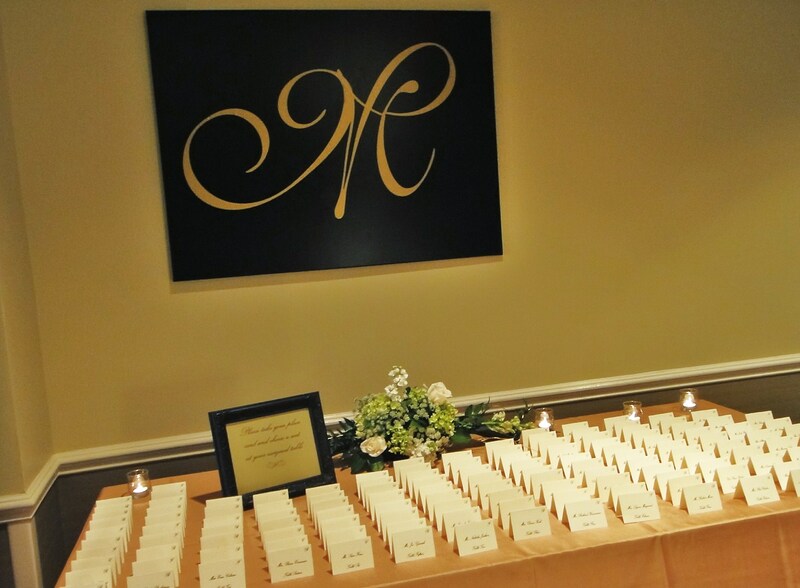 LOVE this custom monogram over our seating card table. 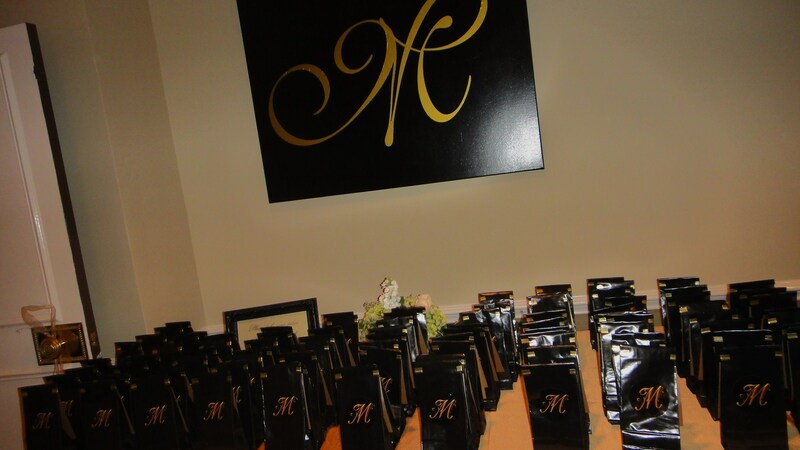 Our table changed over to coffee favors for guests to enjoy. 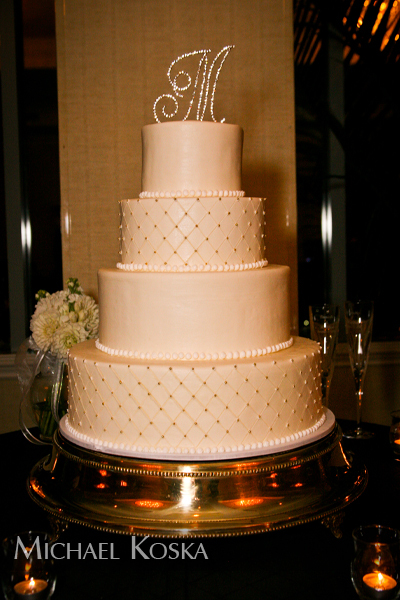 And of course the yummy and beautiful cake! « B.I.O. is looking for Winter/Spring Interns for 2013!